» Does Aloe Vera for Cold Sores Work? What is Aloe Vera and Can It Heal Cold Sores? What Makes Aloe Vera a Good Cold Sore Treatment? How Do You Apply Aloe Vera to a Fever Blister? Does Aloe Vera Gel Have Any Side Effects? Can Aloe Very Gel be Used Together with OTC Treatment? Can Aloe Vera Gel Prevent Cold Sores? Regarded as a natural healer, aloe vera can treat and heal cold sores. With the ability to soothe pain, reduce inflammation, limit the spread of HSV-1, and keep blisters moist, aloe vera gel is a respected alternative to over-the-counter (OTC) medications. While the best way to clear up cold sores is to treat the area at the first sign of trouble, that option is not always available. However, treating active blisters and ulcers with aloe vera gel can eliminate many of the painful symptoms. Easy to purchase and use, this natural and organic gel can prove most effective when applied several times during a 24-hour period. Working as a protective shield, it acts as a buffer against harsh external conditions. Let’s take a closer look at the benefits, how it can help heal cold sores and the best options. It’s often used to treat minor burns and skin abrasions. Although aloe vera gel is 99% water, the remaining 1% contains a variety of vitamins, minerals, proteins, amino acids, etc. In total, it contains as many as 75 active components. Kelly Morrow, MS, RD, CD, who serves as a faculty member in the Department of Nutrition and Exercise Science at Bastyr University in Washington, notes that the most valuable effects come from topical usage. Although more extensive research is needed, aloe vera gel, according to Morrow, encourages the regeneration of skin tissues. Aloe vera is a plant. It is believed that ancient civilizations brought it to the Mediterranean region as many tropical climates around the world. The earliest documentation of aloe vera’s healing properties dates back to 1500 BC. In 70 AD Greeks began to use aloe vera to treat wounds and other skin-related issues. Aloe vera gel, which is found in the core, can be exposed by snapping or breaking the plant. The gel is a clear and odorless liquid. This substance is what’s used for medical purposes. Aloe vera is one of 400 different species of Aloe. Quite shallow with a detailed root system, it is designed for water absorption. 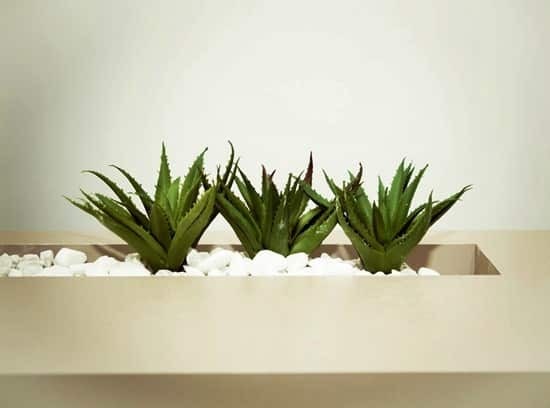 Because aloe plants can store water for long periods of time, they are easier to maintain. The plants are self-repairing. This means they can be broken in half (gel extracted) while the leaf itself will continue to grow from the base. It has been deemed as one of the original superfoods. It has natural properties that are needed to heal a cold sore. Used for centuries to cure irritated and damaged skin, it is an ideal natural remedy. In its natural state, aloe vera contains 12 organic compounds (anthraquinones) that can relieve pain while also serving as antibacterial and antiviral agents. Quality aloe vera gel is thick and can be used as a protectant. By applying a small amount directly to your cold sore, the area can be shielded from external elements. Although it can be consumed in a capsule, pill, and powder form, applying the gel directly is the best course of action for faster healing. The analgesic properties help to relieve cold sore pain. It is a cooling agent, so this can be incredibly soothing. Your diet can play a vital role. It is more likely to reduce your discomfort if you avoid junk foods and other fatty and sugary foods. Consisting of four plant-based fatty acids, aloe vera gel can reduce cold sore inflammation. Working in tandem with a host of antioxidant vitamins, it can halt free radical damage and restore skin cells. Swelling from the herpes simplex virus is the by-product of infection and irritation. Aloe vera gel can snuff out both concerns if applied on a routine basis during the active blister stage. It can work in tandem with other anti-inflammatory agents. Using the gel along with ice, a cold compress, and/or Ibuprofen can provide a source of fast relief. Aloe Vera gel can slow the growth of active HSV-1 when applied as a topical treatment. 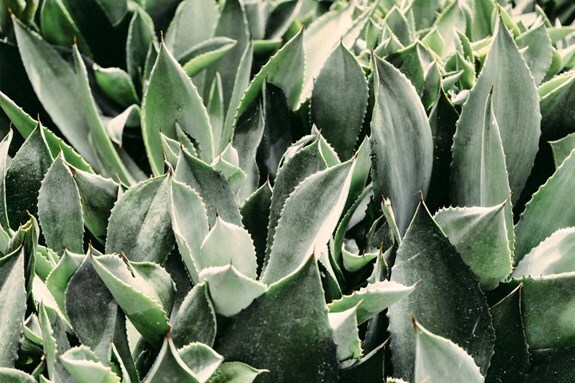 The National Center for Biotechnology Information (NCBI) notes a study that concluded the positive effects of aloe vera gel on the herpes simplex virus. Lab results determined that it slowed the growth of active HSV-1. In a detailed overview of aloe vera’s natural properties, NCBI cited both indirect and direct connections for the plant’s effectiveness. The indirect action could be due to the stimulation of the body’s immune system. The implication is that it is aiding the body in naturally slowing active HSV-1 growth. The direct conclusion is that the plant’s organic compound makeup (anthraquinones) is the reason for slowing down the development of the virus. Aloe vera gel replenishes moisture that is lost from the skin. Reviving the outermost layer of the skin (the epidermis), its antioxidants will help to heal damage and keep your lip moist. This accelerates the healing time and reduces redness or scarring. You should apply it 3-4 times a day to prevent dryness. This is not only critical during the blister stage, but also during the scab stage. Cracking is most likely to occur if the area becomes excessively dry. Purchase a quality aloe vera gel from your online health food store. It must be 100% natural with 99% organic gel. There mustn’t be any added fragrances or additives. After washing your hands, apply a thin layer of the gel gently with your index finger. Apply it 3-4 times per day until the blister and ulcer stages have safely concluded. Wash your hands thoroughly following the application process. Any remaining gel on your finger is likely contaminated with the virus. It is vital to note that aloe vera gel, and all of its healing properties, only work if the gel being used is of the highest quality. All natural. 99% organic. Let’s detail the core issues that are often discovered while shopping for aloe vera gel. If you can avoid these pitfalls, you will likely come away with the right product. Not all aloe vera gels are the same primarily because the label is a lie. What you appear to be getting is not the reality. If the label does not say “100% Aloe Vera Gel” you should have second thoughts. It is common for brands to use word tricks to fool the consumer. Whenever you see a brand that claims “100% Gel” there is likely more than meets the eye. What is gel? It could be whatever the company wants it to be. 99% aloe vera gel is what you want. Not 100% of mystery “gel” that is being passed off as real aloe vera. If the label lists water as the core ingredient, you know you are being fooled. Like all labels, the first item listed is the most prominent. When you are attempting to treat cold sores with a potent gel, you certainly do not need water taking center stage. Scan the entire list of ingredients. If water is at the top while aloe vera is near the bottom you are being tricked. Beware of alcohol. It is not uncommon for companies to lean on alcohol rather than aloe vera gel to create a cooling effect. It essentially mimics the quality found in real aloe vera. Alcohol will dry out your blister and potentially lead to unwanted side effects. Placing organic aloe vera gel in your refrigerator will give you the natural cooling and soothing effect you are looking for in a cold sore treatment. The color of aloe vera gel is a light golden. This is the color that is seen when the actual leaf is snapped. If you have purchased gel and the contents resemble a strong green, it has been subjected to artificial coloring. This means the gel is not natural and likely contains artificial makeup (beyond coloring) that could hamper the healing qualities of an otherwise natural product. Aloe vera gel, when used as a topical aid to treat and heal cold sores, poses only a marginal concern. WebMD notes the gel is “likely safe” when applied to the skin of adults and “possibly safe” when applied to the skin of children. While ingestion and digestion of gel and aloe supplements do have adverse side effects, natural gel is primarily safe when applied to the lips. Since the use of aloe vera gel as a treatment is similar to that of any chapstick or cream, any concerns about internal side effects are not relevant to this topic. If you have any questions related to the side effects of aloe vera or how the plant will interact with specific medications, we encourage you to consult your physician. This practice is not recommended. Although likely safe, the use of an OTC in tandem with aloe vera gel is somewhat pointless when the objective is fast healing. If you have an OTC treatment (or are considering a purchase), the OTC should be your first choice. Although aloe vera can aid in the healing process, it always takes a backseat to an FDA-approved selection. Another concern with using gel with OTC is the potential of diminishing the effectiveness of the medication. Because your selection will have to be wiped away before applying gel, the medication may not work to its full capacity. This can result in having the gel and OTC cancel each other out. Listed below are recommended practices for using both gel and OTC medication. Use your FDA approved OTC cream during the blister and ulcer stages. Apply aloe vera gel once the scab stage begins. This will keep the scab moist and free of cracking caused by dryness. Once the scab has naturally flaked away, it will be replaced by new skin. This skin is often tender and pinkish red. Due to its sensitivity, the use of aloe vera can cool, soothe, and coat the area. Applying a thin layer to the new skin can aid in the recovery process. Aloe vera may be used as a cold sore prevention remedy. Although there’s no guaranteed way to keep cold sores at bay, the use of aloe vera is a proactive step. When HSV-1 is dormant, your goal should be to protect your lips. Aloe vera can provide a coating that can act as a buffer against external factors. While that does not include internal factors such as trigger foods and beverages, aloe vera gel can protect your lips from harsh environmental triggers. From a financial standpoint, the use of aloe vera as a cold sore prevention measure will help your wallet. If you have used the gel to heal a cold sore, you can continue to use it after your lip has healed. It can be money well spent and that is important. Sujatha G, Kumar GS, Muruganandan J, Prasad TS. Aloe Vera in Dentistry. Journal of Clinical and Diagnostic Research : JCDR. 2014;8(10):ZI01-ZI02. doi:10.7860/JCDR/2014/8382.4983. Rezazadeh F, Moshaverinia M, Motamedifar M, Alyaseri M. Assessment of Anti HSV-1 Activity of Aloe Vera Gel Extract: an In Vitro Study. Journal of Dentistry. 2016;17(1):49-54. Radha MH, Laxmipriya NP. Evaluation of biological properties and clinical effectiveness of Aloe vera: A systematic review. Journal of Traditional and Complementary Medicine. 2015;5(1):21-26. doi:10.1016/j.jtcme.2014.10.006. Fox L.T., Mazumder A., Dwivedi A., Gerber M., Plessis J.D., Hamman J.H. In vitro wound healing and cytotoxic activity of the gel and whole-leaf materials from selected aloe species. J Ethnopharmacol. 2017;200:1–7. Final report on the safety assessment of aloe andongensis extract, aloe andongensis leaf juice, aloe arborescens leaf extract, aloe arborescens leaf juice, aloe arborescens leaf protoplasts, aloe barbadensis flower extract, aloe barbadensis leaf, aloe barbadensis leaf extract, aloe barbadensis leaf juice, aloe barbadensis leaf polysaccharides, aloe barbadensis leaf water, aloe ferox leaf extract, aloe ferox leaf juice, and aloe ferox leaf juice extract. 2007;26(2):1–50. doi: 10.1080/10915810701351186.